James Lopez is best known as an animator at Walt Disney Animation Studios and an instructor at CalArts. 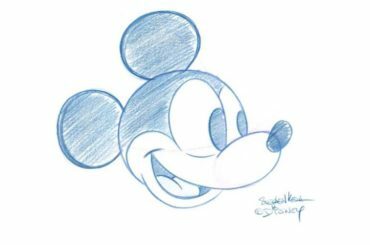 He’s worked on a bevy of great film characters including Timon from The Lion King, Pain from Hercules, and Dr. Facilier from The Princess and the Frog. Sadly, he did not survive the recent purge of hand-drawn animators. 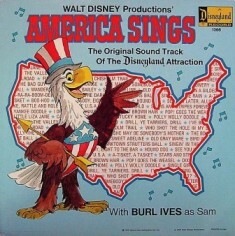 Turns out he’s also a huge Disneyland fan, especially of the 1974 attraction “America Sings” – since gone to yesterland. Lopez has taken the soundtrack and spent much of the last ten years creating a 2D animated recreation of the ride. He’s now sharing an in progress version of the ride’s first act with the world. Be sure to visit Lopez’s facebook page where he’s posted some beautiful Steampunk and 60’s era character art. The good news is that it looks like Lopez is well on his way to a new 2D animation project and just released an educational video, also animated. I hope he’ll continue with the “America Sings” project, although I will understand if his Disney obsession has lost a bit of its pixie dust glow.